Kim and Brandon met on June 5, 2009 at a social event between Brandon’s fraternity and Kim’s sorority. They locked eyes on the dance floor and hit it off right away. They were having so much fun getting to know each other that when the event ended they convinced a group of people to go to a friend’s house and watch a movie so that they could spend more time together. They held hands throughout the entire movie and stayed up all night talking and getting to know each other. A couple days later, Kim left for the Summer but they stayed in close contact, talking every day and visiting with each other occasionally. When school came back in session in the Fall they picked up right where they left off and began officially dating. 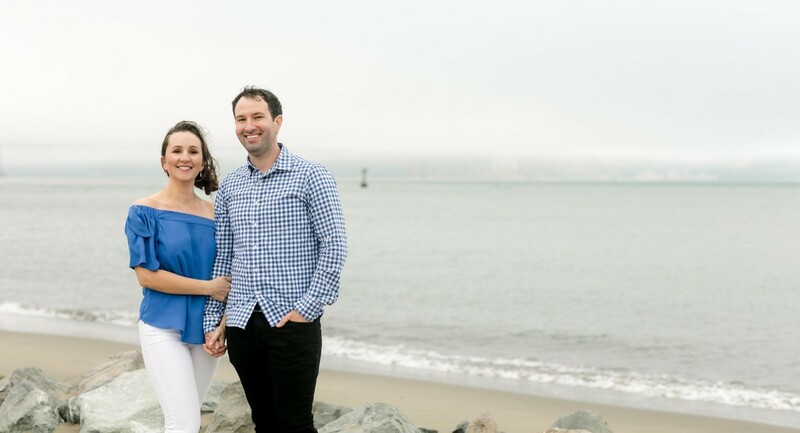 Brandon proposed to Kim on New Year’s Day 2018 in Avila Beach, which is where they went on their first date. Afterwards they celebrated by going to the restaurant where they first met almost 9 years earlier. They even sat in the exact spot where they first locked eyes! They are extremely happy and excited to be starting the next chapter of their lives together and to celebrate with their family and friends in October!